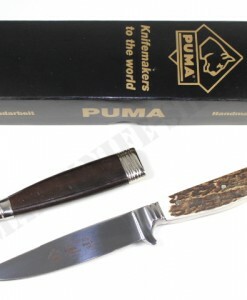 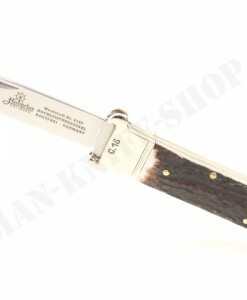 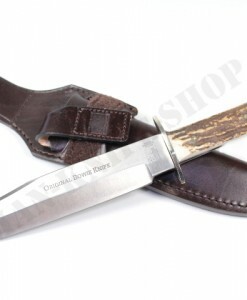 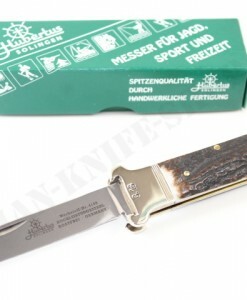 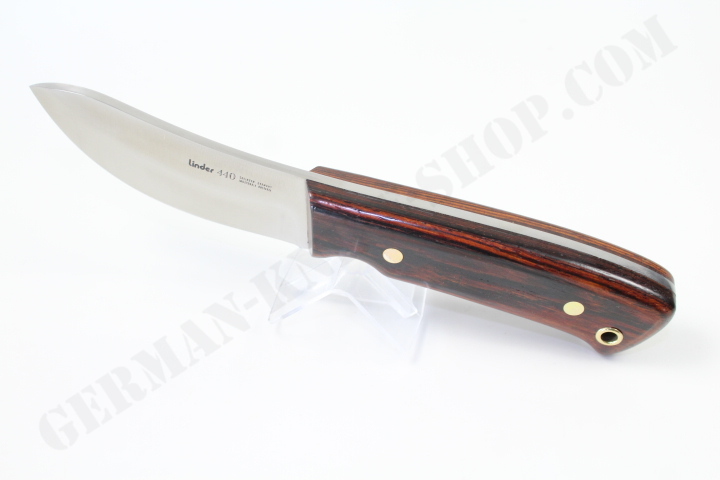 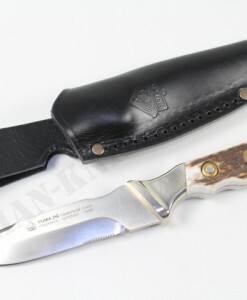 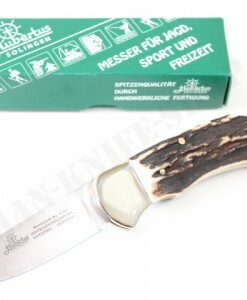 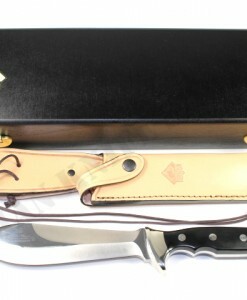 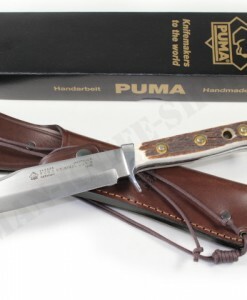 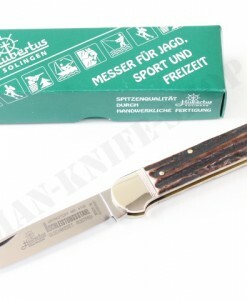 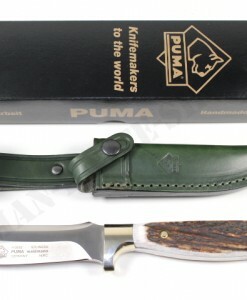 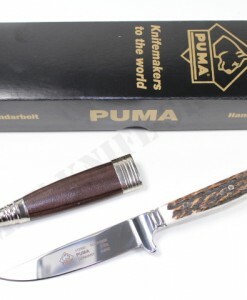 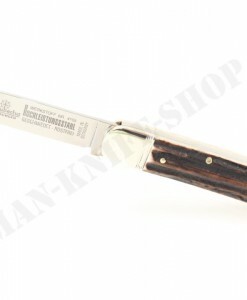 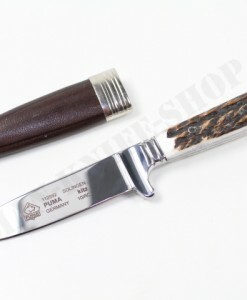 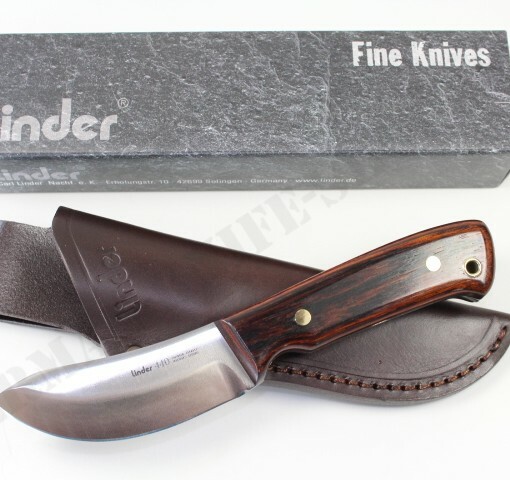 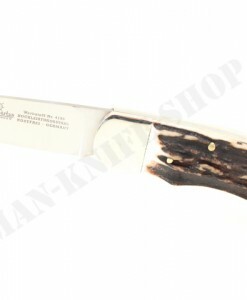 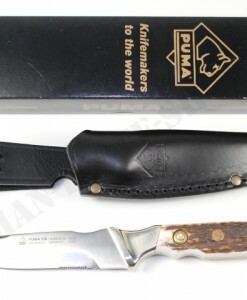 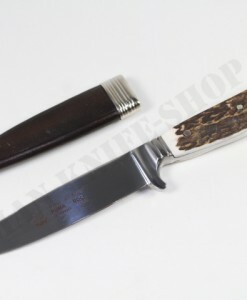 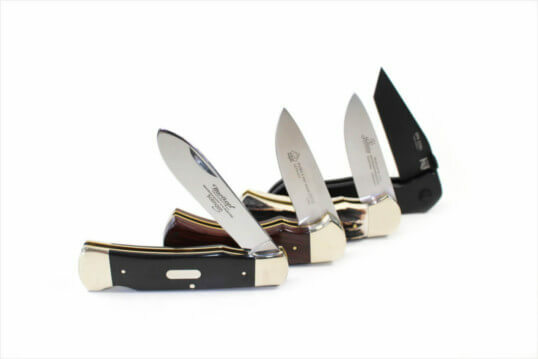 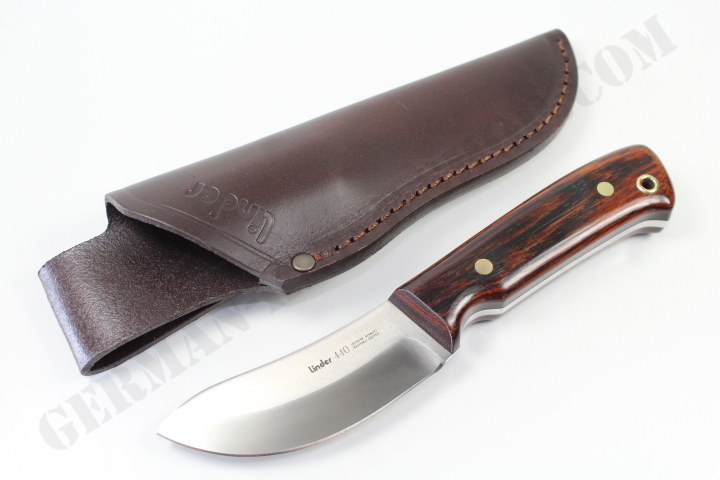 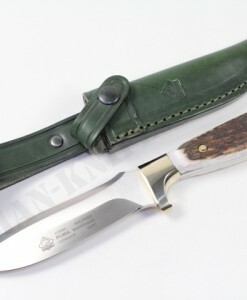 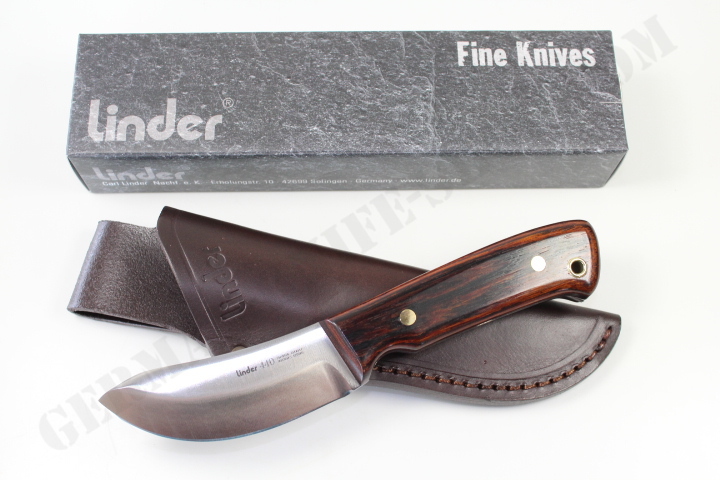 Beautiful German Linder hunting knife with fine cocobola wood handle. 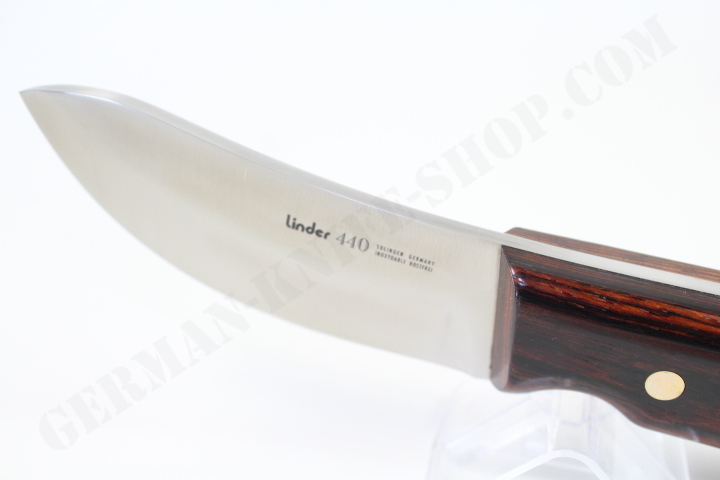 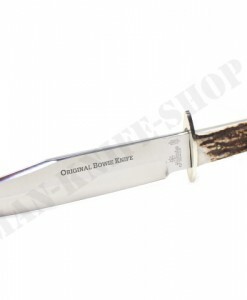 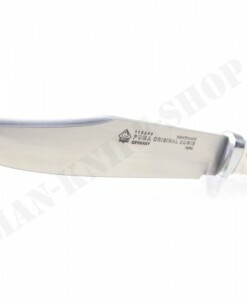 440A steel stainless blade. 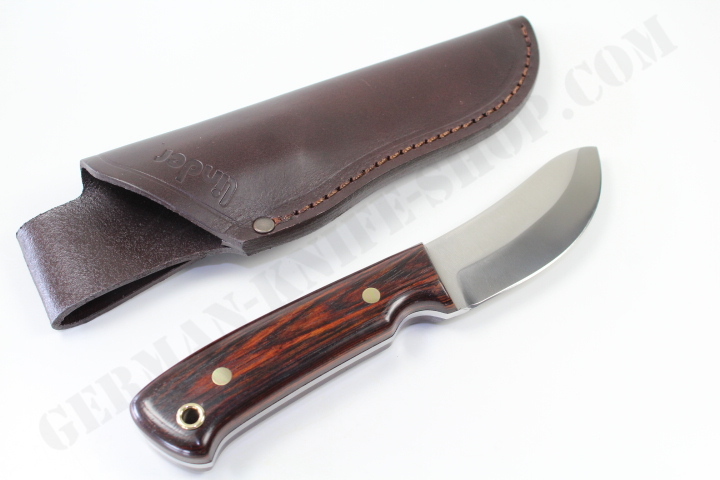 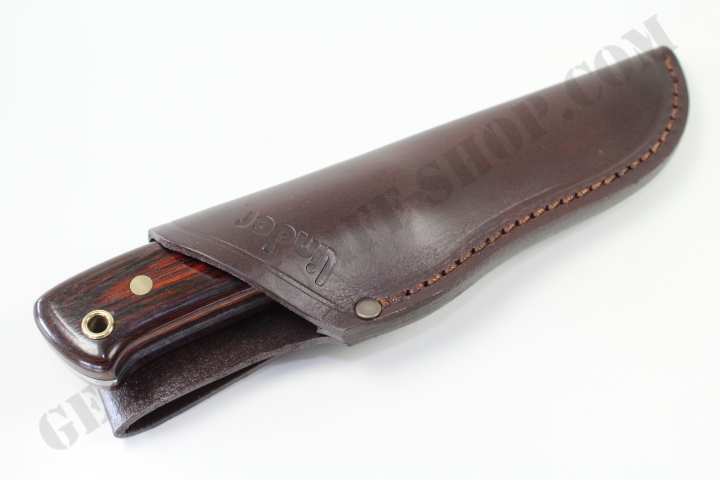 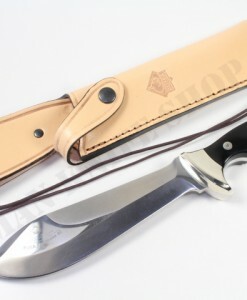 Open top leather sheath.